The Immigration Act No.13 of 2002 (“the Act”) provides that certain individuals are deemed to be “prohibited persons” and as such, they are banned from entering South Africa. 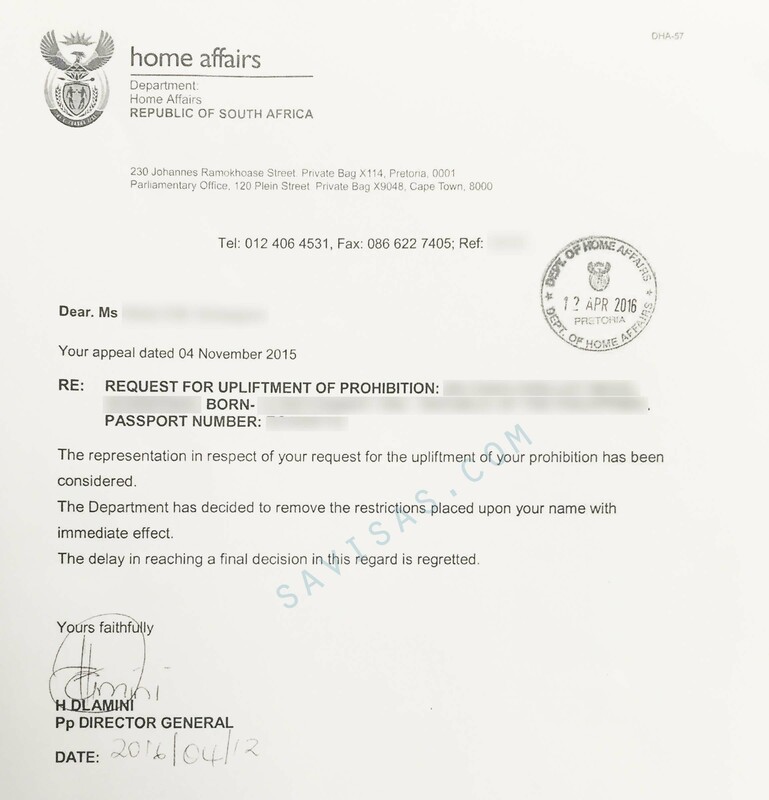 In practice, offending individuals are often told by the Department of Home Affairs (“DHA”) that they have been placed on the “V-list” or “No Entry List” and no proper declaration of their prohibited status is ever communicated to them. This differs from instances where an individual is declared an “undesirable person” as a result, among other things, of having overstayed his/her visa. Irrespective of the terminology used in declaring an individual to be a prohibited person, the end result is still an indefinite ban from entering South Africa – whereas a declaration of undesirability results in a ban of between 1 – 5 years. A prohibited person can, however, appeal to the Director-General of Home Affairs to overturn the decision to declare him/her a prohibited person on the basis of good cause. Why am I banned from entering South Africa? Section 29 of the Act sets out various grounds upon which an individual will be deemed to be banned from entering South Africa, with the most common of these grounds being that: the individual was found in possession of a fraudulent visa, permit, passport or identity document; or had previously been deported from South Africa. In order to overturn one’s prohibited status and indefinite ban from South Africa, the affected individual will need to submit an application to the Director-General requesting that his/her prohibited status be waived. The personal circumstances of the individual. It is not uncommon for individuals to be banned from entering South Africa through no fault of their own, and often these individuals are not made aware of their prohibited status until they attempt to re-enter the country or upon application for a new visa. At this point, it becomes essential for the affected individual to draft written representations in order to overturn his or her prohibited status and submit same to the Director-General. If you require assistance in drafting an application to overturn your prohibited status, kindly contact us via the enquiry form below.